Are you looking for FREE kids activities? Lowes is offering another fun FREE Build and Grow Workshop (sign up here) on Saturday, August 8 at 10:00 AM! Be sure to register your children for this Lowes Build and Grow workshop as these activities tend to fill up quickly and there are a limited number of spots! 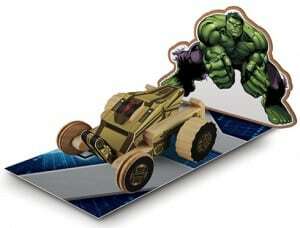 Your children can make and take home Hulk’s Tank. They will also receive other freebies for attending this Lowes workshop.